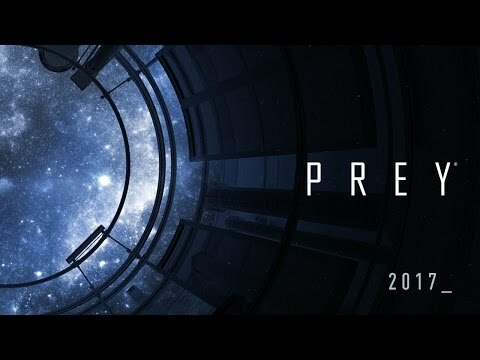 Arkane Studios today released a gameplay video of its upcoming Prey reboot, giving us more insight on the game’s mechanics. The video shows some clear inspirations from Arkane’s premiere title of the Dishonored series; throughout the seven-minute demo, Creative Director Raphael Colantonio and Lead Designer Ricardo Bare explain how the robust arsenal of weapons, gadgets, and supernatural abilities can be used to explore and survive Talos 1, the abandoned and haunted space station in which the game is set. While the gear and powers shown are of a more science fiction nature, the open-ended “play your own way” mantra of the Dishonored series seems to be at the core of Prey’s design. Weapons like the Glue Cannon can be used not only to immobilize your enemies, but also to make glue formations along walls to climb, opening up new avenues of traversal. An ability called Mimic, which can be learned from the alien enemies, allows the player to possess inanimate objects like grenades or coffee mugs. Watching the player possess a cup and roll around the floor unnoticed evokes memories of inhabiting the many rats of Dunwall (the city of Dishonored) and scampering past guards. These systems appear to have that same wide-open approach on which Arkane’s past games have been predicated. Prey comes to Xbox One, PS4 and PC in 2017. For more on the reboot, check out this video on the history of the space station, Talos 1.